Natural means from nature. For us, that means starting with fresh ingredients you recognize like peanut butter, chickpeas, and flaxseed and leaving out the artificial fluff. Each Cloud Star® recipe is thoughtfully crafted and gently mixed without using by-products, corn, soy, colors, or artificial flavors. We prepare each batch with processes you use in your own kitchen such as baking, canning, and dehydration. We do this to ensure that each Cloud Star® product delivers the best nutrition for your pets. We’ve always relied on our trusted network of suppliers and farmers to provide the ingredients that go into our pet foods— and we still do. We’re kind of obsessed with using fresh ingredients as much as possible. And we definitely choose to use wholesome, quality ingredients all the time. The same ones we want for our own pets. Our obsession inspired us to take it a step further and get directly involved with growing our own fresh ingredients. 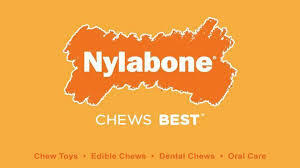 That’s led us to establish CANIDAE® Farms in Kansas. Dogs love meat and Cats are obligate carnivores, so optimum nutrition starts with meat. Halo uses WHOLE meat, never any rendered meat meal, such as chicken meal or by-product meal. Give your pet the meat nature intended – WHOLE meat is more digestible, more bioavailable, and more delicious! Cat-Man-Doo was the brain child of founder, Peter Stake. Having 8 cats of his own along with numerous foster cats he had to find a way to make treats affordable. He went to a friend who worked in distribution for a seafood company and was able to procure Bonito (a tuna-type fish which hails from Japan) in large quantities for a fraction of the price he was paying in pet stores. He noticed that the Bonito he was procuring was of much higher quality than the Bonito he had been buying in the pet stores. The flakes were larger, fresher and more aromatic. And the dream of Cat-Man-Doo began. Back in 1995, our founder, Patrick, was on a hike with his Chocolate Lab, Zuke, when he shared his energy bar with him to refuel so they could finish their trek. At that moment, he realized our dogs are just like us — they need healthy treats to keep them going, too. So he created Zuke’s treats, nutrient-rich and made with the Earth's best ingredients. We began Redbarn Pet Products searching for high quality pet food that was actually good for our dogs. Since 1996, we've been providing high quality, innovative pet food and treats at competitive prices. At Redbarn quality is #1. We have strict quality assurance specifications in our factories to ensure the freshest product goes out our doors for your dog or cat to enjoy. Approximately 80% of Redbarn's products are manufactured in our own U.S. factory, located in Great Bend, Kansas. Redbarn's manufacturing plants, at home or abroad, are a reflection of our company and the standards we uphold. At SPORTMiX® we’ve been feeding pets for generations now. We’re a family owned business now in our fourth generation. Over the years, we’ve learned a lot about family, pet companions, trust and making high-quality pet food and dog biscuit treats. We care about our pet companions and never compromise. We mix together the finest ingredients, years of knowledge, the latest technology and lots of love to serve up the best meals for your pet. We still have those same Midwestern values that Grandpa Nunn had back in 1926. We operate four state-of-the-art facilities in the Midwest, USA. We test and retest. We’ve never had a recall. We are proud of that and hope that you too have the same confidence in our food. Pet ‘n Shape is a family-owned business founded on the concepts that our pets deserve natural healthy treats they love and pet owners deserve a quality treat they trust. For over twenty years Savory Prime has been providing the highest quality pet chews and treats using the finest ingredients while produced under strict quality standards. No preservatives, no chemicals, no additives. 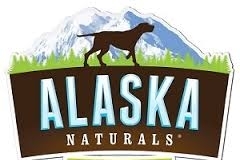 100% natural and pet approved! Just take a gander at some of the ingredients in these puppies (pun intended): organic eggs, organic flax, sunflower, and chia seeds, just to name a few. With FOUR different flavors to choose from, you’re sure to find just the right one to make you a hero in your dogs’ eyes. And best of all, they are wheat, corn, soy, and preservative – free! All biscuits are made in small batches by Lucky in the USA,. The Plato Way: Real people creating real treats for dogs in the most considerate and conscious way possible in the heart of California. We want you to feel good about what you’re feeding your pet. It’s a responsibility we take to heart. That’s why we monitor every inch of every treat’s journey. From the careful choosing of our responsibly-sourced, all-natural ingredients to our in-house production and conscientious distribution, our sky-high standards are never compromised. This ensures that every treat that leaves our sight is safe, wag-worthy and wholesome.